This course provides definitions for terms associated with realism and fidelity and discusses how an understanding of modes of thinking can guide plans to incorporate realism in a simulation scenario. Various methods for increasing realism and consideration of how to address each of participants” senses are explained. The impact of a realistic environment, setting behavioral expectations of learner behavior, and the use of cueing and confederates is discussed. 1. Define terms related to the realism. 2. Identify methods to increase realism. 3. Discuss pitfalls to increasing realism. 4. Identify resources for providing increased realism. Mindi Anderson, PhD, ARNP, CPNP-PC, CNE, CHSE-A, ANEF is currently an Associate Professor at the University of Central Florida College of Nursing. Dr. Anderson has presented widely on the topic of simulation and is engaged in research and publishing on multiple types of simulation (high-fidelity, standardized patients, virtual, etc. 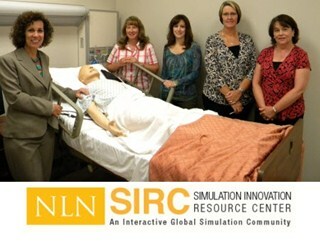 ), and simulation methodologies, such as role-modeling and interprofessional education. Andrea Dodge Ackermann PhD, RN, CCRN is an Associate Professor of Nursing and Director of Simulation and Clinical Education at Mount Saint Mary College in Newburgh, NY. She has published her work with simulation in staff development as well as conducted research on learning outcomes using simulation in undergraduate nursing education. She also works as a consultant to health care facilities and nursing programs in designing a simulation center and integrating simulation into staff development and undergraduate nursing curriculum.